In this post, you will find the list of top scorers after Week 21 of the GLO Premier League 2012-2013. The picture is of high-flying Francis Narh of Tema Youth FC. * Otoo is a consistent striker with several qualities, including intelligence, strenght, technique and vision. He is also surprisingly good in the air. Otoo, the captain of Hearts of Oak SC, is widely considered as the best striker in the GLO Premier League and he should soon get a chance in a bigger league. Otoo is also a fringe player at the Black Stars, the Ghana national football team. * The 19-year old Narh is a lively striker or winger who is able to out-run any defender. Narh is also a star player at the Ghana U-20 national football team. Narh, who has played 18 matches this season, has to work with his finishing. Five of his 10 goals have been penalties and he failed to score during the CAN U-20. Nevertheless, Narh is one of the most promising players in Ghana, famous for beating off-sides traps. Narh has also several assists this season. * Yahaya is a box-to-box midfielder, known for his vision, ball-winning ability and expertice from set-pieces. Yahaya is particularly effective playing behind the strikers. He has played 16 matches so far this season. * Ashia is the talented playmaker of Liberty Professionals FC. Ashia has always been skilful, hard-working and a great passer. This season, he has also shown quality in front of goal. Some of his goals have been wonderful strikes from outside the box. Ashia was part of the Ghana U-20 national football team during the CAF U-20 in March 2013. Ashia has played 16 matches so far this season. * Mohammed is a burly and powerful striker with tremendous work-rate. Mohammed’s goals are mainly scored inside the box or as a result of him beating the off-side trap. Mohammed has been a consistent scorer for several seasons and I think he could do well in a bigger league. Mohammed has played all 21 matches so far this season. * Selasi is a powerful striker. Selasi, who was one of the key players when Amidaus Professionals FC won promotion last season, has scored approximately 15 matches so far this season. * Assifuah, a burly and hard-running striker, is one of the discoveries of the season. Assifuah reached the “Best 11” after the CAF U-20 in March 2013, having scored three goals during the tournament. Assifuah has played approximately 16 matches so far this season. * Salifu, an attacking midfielder or support striker, is arguably the big star at Wa All Stars FC, often dictating the attacking play of the team. 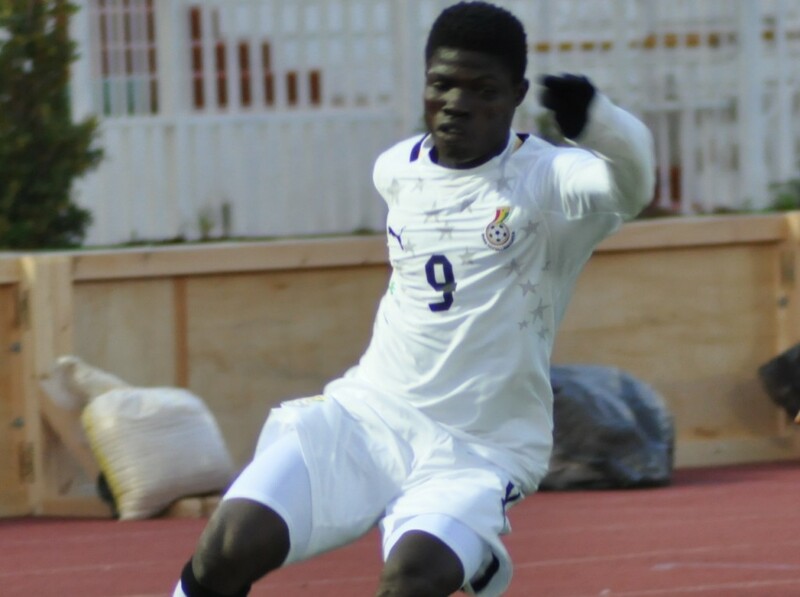 Salifu is also part of the Ghana U-20 national football team and performed well during the CAN U-20 in March 2013. Salifu has attracted several bigger clubs in Ghana and I expect foreign clubs to discover him sooner than later. Salifu has played approximately 16 matches this season. * Boakye, a powerful, hard-working player with great physical strenght, is the main striker at Asante Kotoko FC. Boakye has played approximately 18 matches so far this season. * Salifu is one of the fastest players in the league. He is also a good dribbler and a hard worker. Salifu has not scored since 16.12.2012 and his form has dipped lately. As far as I know, Salifu has played all 21 matches this season. * Yusif joined Asante Kotoko FC from Real Tamale United FC during the mid-season transfer window. Yusif is a lively winger / striker with a lot of pace and running. Please note that Yusif has scored five of the six goals for RTU. He played 14 matches for RTU and has featured in approximately four matches for Asante Kotoko FC. * Adusei is a tough, hard-tackling centre-back, well-known for his thunderous shots. His goals are mainly scored through free-kicks and penalties. Adusei has played approximately 18 matches so far this season. * Darkwah, a left-winger, attacking midfielder or striker, is a skilful and intelligent player, arguably the most creative player at Aduana Stars FC. As far as I know, Darkwah has played 21 matches so far this season.